Multiple recent headlines have talked in crisis terms of a coal ‘shortage’ in India, threatening thermal power plant generation. These alarming stories correctly highlight the dwindling power station supplies that bottomed out at 8 MT last October, but also obscure some crucial facts. 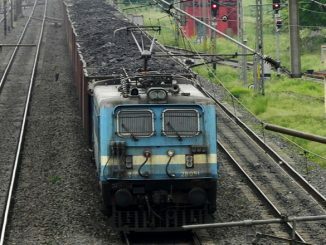 Most importantly, India’s overall stockpiled coal has increased by 35 million tonnes (MT) in the five months to the end of March – 8 MT more at power plants, and 27 MT more at the pitheads of Coal India and SCCL . Together CIL and SCCL represent about 97% of India’s coal mining industry. [Update: This figure is for public coal companies only – if captive producers and lignite are included, then a lower figure in the order of 75-80% is more accurate – Fig. 6.3 IEEFA Report]. The total (power plant + pithead) stocks currently sit at 79 MT. Though substantially less than the peak of 106 MT a year ago, or 100 MT in 2016 when there were concerns of unused coal spontaneously combusting, this hardly constitutes, in any real sense, a coal shortage. These headlines have several roots. 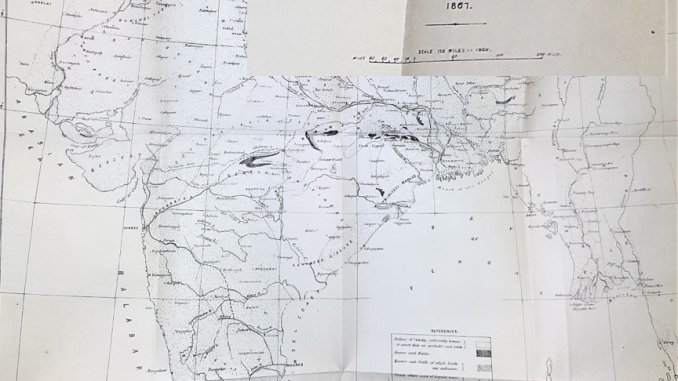 The genuine concerns about supplies at some plants have lessened, but remained true even recently, with some concerns expressed for the coming summer. But a more mundane reason is that, in contrast to daily updates of power plant stocks, data on pithead stocks is sporadic and hard to come by. This has led to the overall stock position being overlooked. 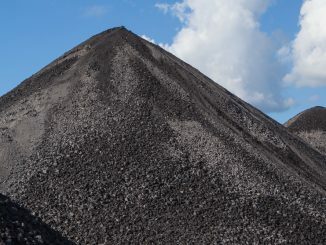 Some news stories incorrectly state that insufficient coal is being produced, with more comprehensive reports of the stock situation being the exception. 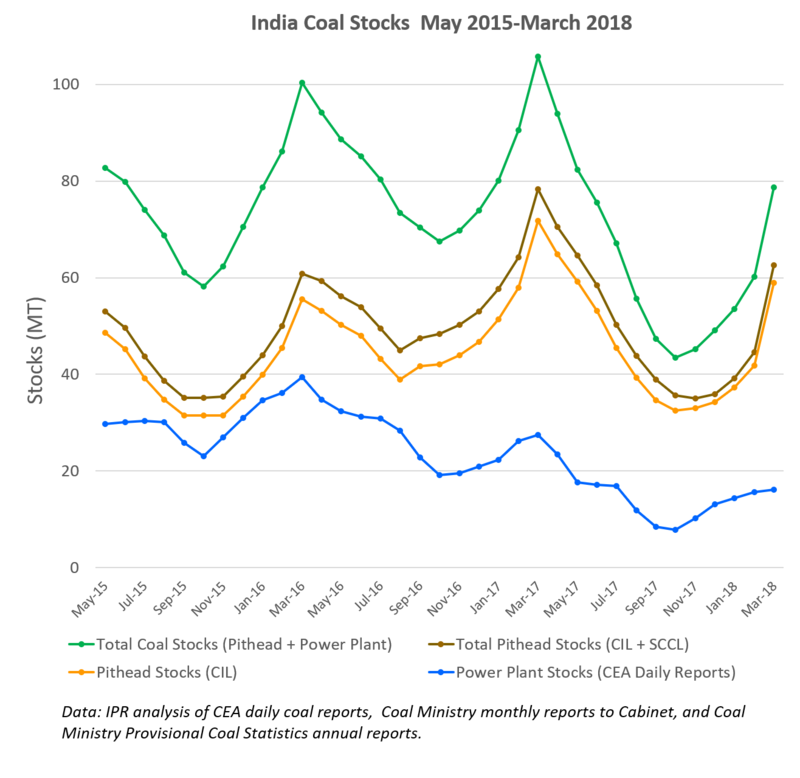 These data were generated by taking as an anchor point the published stockpiles for CIL as of May 2015 and SCCL for March 2017, and determining the 35 month-by-month changes (total production – total dispatch as reported to the Cabinet each month by the Coal Ministry) up to March 2018. 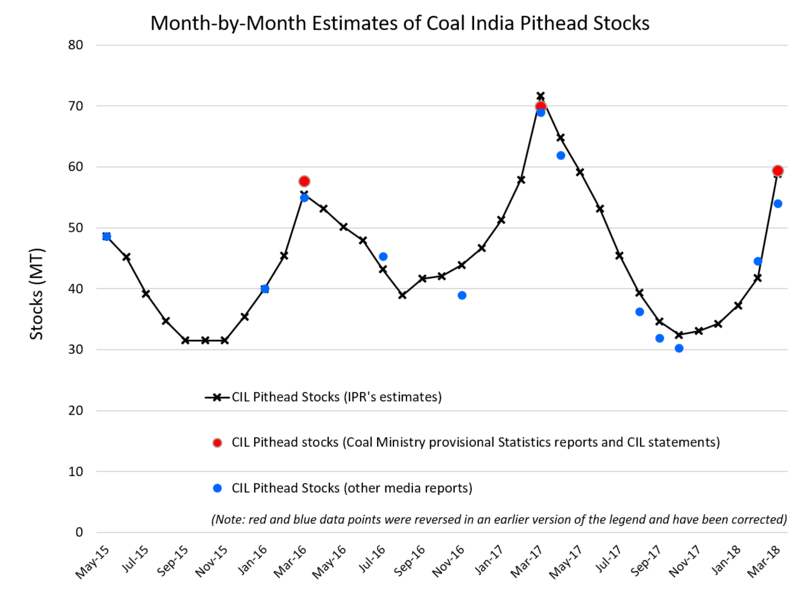 As the following chart shows, these estimates appear valid. 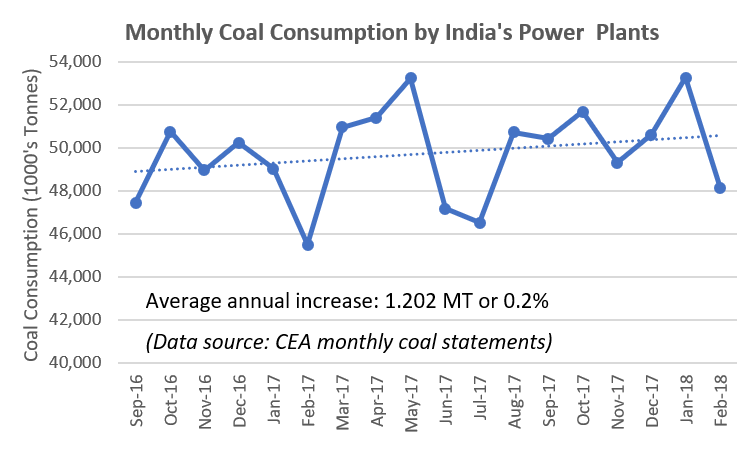 For the more significant CIL data, they very closely match figures in the annual Provisional Coal Statistics documents published by the Coal Controller’s Organization (as well as sporadic media reports, though some of these are unclear with regard to the month they refer to). So what do the trends really show? Firstly that the goal of reducing excessive stockpiles has been achieved at the power plant end, but not completely at the pithead. The mismatch is usually blamed on rail bottlenecks and the logistics of moving coal around the country. But other factors have been pointed to. One is that some power generators may have minimised restocking for financial reasons, with reports that up to 71GW of private sector coal-based projects are facing bankruptcy filings. In addition (as reported in the CEA monthly Coal Statements), actual consumption of coal by power plants – including imports – has increased at a negligible annual rate of 0.2% over the 18 months to the end of February, as shown below. So the big picture is that coal consumption is flat, coal production is flat, coal stocks have come down but still fluctuate hugely over the year. Total stocks are equivalent to over a month’s consumption, and while the balance between pithead and power plant stocks isn’t optimal, it’s hard to label this overall position as a “shortage of coal”.